I absolutely hate planning meals and grocery shopping. Who has time for that? That is why I wanted to try eMeals. You will find over 50 weekly plans based on customers preferred food style, family size and grocery store. The sign up process was easy. I just chose the number of people in my family, then it asked what kind of meals I would prefer. I was able to choose from classic, clean eating, simple gourmet, low fat, low carb, paleo, portion control, organic, vegetarian and gluten-free meals. I chose classic for two people. I love how eMeals not only gave me meal recipes for the week based on a couple meal plan, but eMeals also ensured that I did not have food waste. This means no wasted money, no wasted food storage, and more money in your pockets. Once you sign up, eMeals gives you a shopping list that tells you what sales are going on in your LOCAL grocery story with items on your personal recipe list for the week - saving you time! (eMeals has partnerships with many major food stores). All the ingredients you buy will be used in multiple recipes so that there is no waste. All of that careful planning saves you money. How much? According to eMeals, you can save an average of $1,000/year! Saving money is something you definitely need to be thinking about around the holidays! If you sign up for eMeals now, use the code CYBER35 to get 35% off your plan! Even financial Planning celebrity and TV show host, Dave Ramsey, supports eMeals and how it helps families save around $1,000/year. 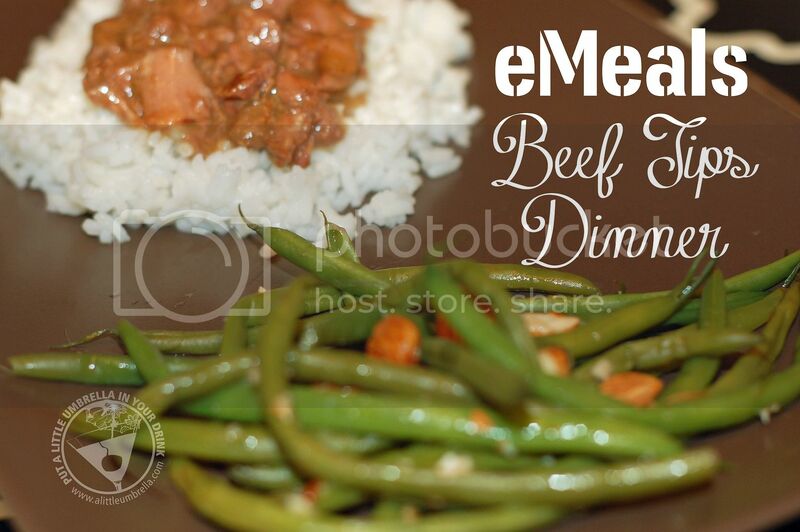 One of the first meals I created using my meal plan was a Beef Tips Slow Cooker Dinner with Rice and Almond Green Beans. The meal plans are easy to follow and easy to make! This recipe required very little preparation. It also coverts all of the recipes for the week into an instant shopping list. Talk about easy! We absolutely loved this meal. Honestly, we kept on repeating how delicious it was. The flavor in the beef tips was outstanding. 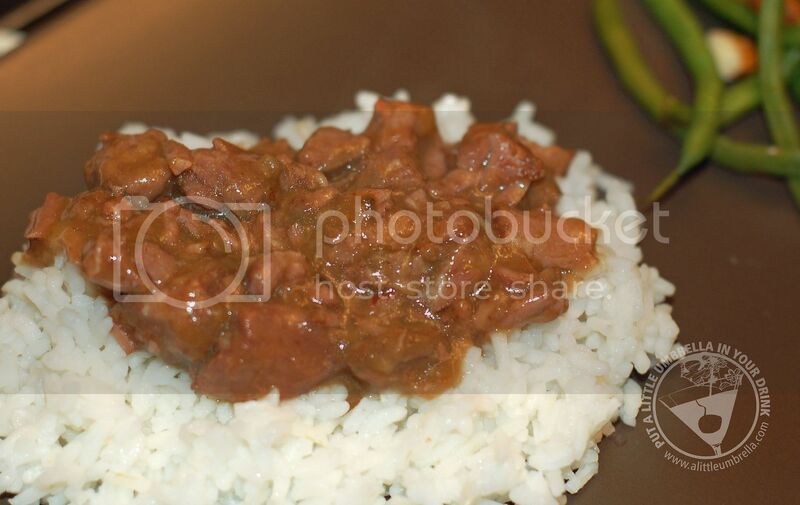 The rice and green beans were the perfect combination with this dish. It was so easy too! We will definitely be making this meal again! Don't forget if you sign up before the holidays, you will save. Just head to eMeals, choose your plan, and sign up using the code below! You will have your first week's meal plan in minutes! Special Offer :: Use the code Cyber35 to get 35% off your meal plan at eMeals! Disclosure: This post is sponsored via a campaign with Markerly. Regardless, all opinions expressed are still 100% my own.